Our QwickBuild. 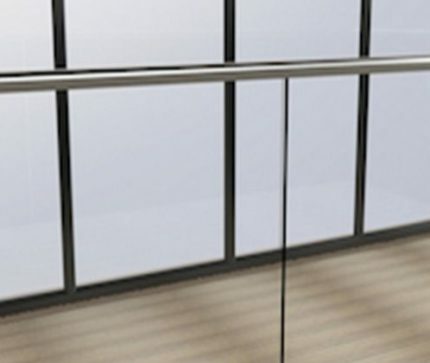 aluminium decking sub-frame brings deck construction into the 21st century. 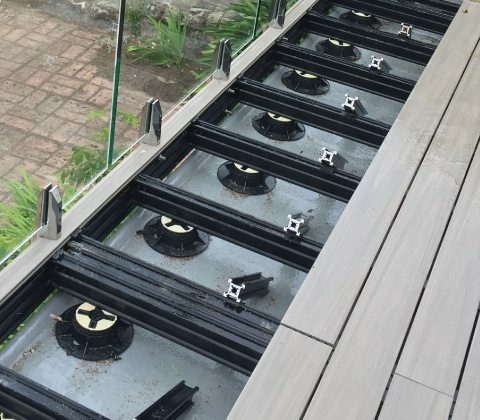 QwickBuild the world’s first Aluminium decking sub-frame system to eliminate screws for fastening the boards to the frame. 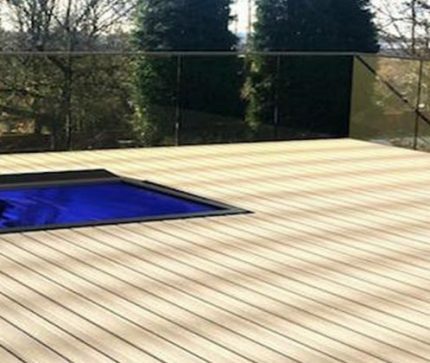 QwickBuild can be used to support ResortDeck or EcoDecking Composite Decking Boards, Hardwood Decking Boards, Artificial Turf, Ceramic Tiles or a combination. Our New Online Design tool will allow you to create your own made to measure QwickBuild Aluminium Sub-Frame and have it delivered directly to site within 3-4 days after purchase. 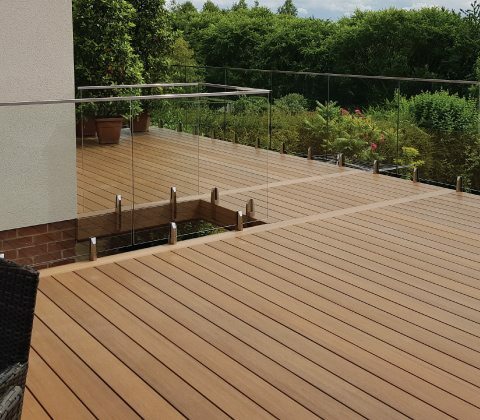 ResortDeck 4th Generation composite decking boards combine the look of a freshly oiled timber deck with the benefits of durability, dimensional stability & low maintenance. 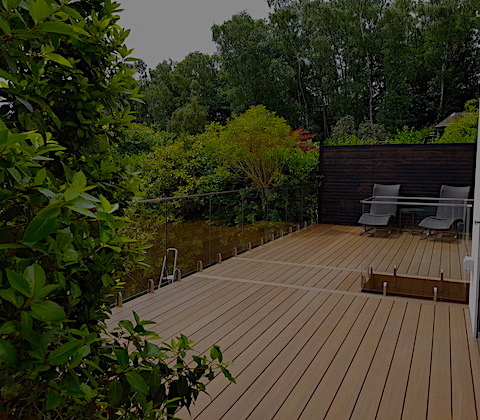 In our opinion, ResortDeck is the most natural looking composite board available in the market. The boards are splinter-free, insect proof, do not leach & are scratch, UV & mould resistant. There is no need for staining, oiling or painting. Although ResortDeck is a premium board it is comparatively affordable to traditional hardwood decking timbers plus you will save on installation costs. EcoDecking Composite Decking boards are manufactured from the highe st grade recycled materials available with a superior non-slip surface. The colour technology achieves a soft tonal variation throughout the Boards to discguise daily wear & tear. The Boards are splinter-free, insect proof, do not leach and are scratch, UV & mould resistant. There is no need for staining, oiling or painting the EcoDecking Boards. QwickBuild is the only aluminium sub-frame system for outdoor floors that provides a low-height, level and stable solution for supporting multiple surfaces: decking, tiles, artificial turf or a combination. Offering benefits unmatched by any other traditional decking construction method. 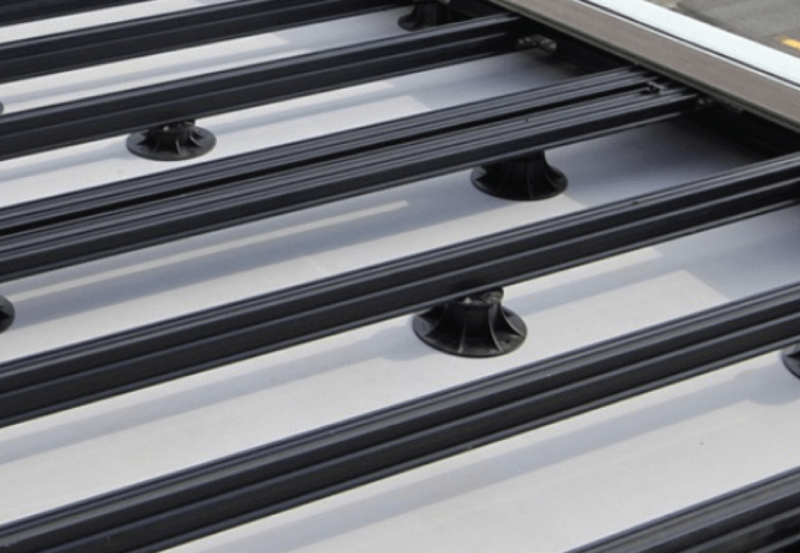 Designed as a low risk, floating floor system for installation over waterproof membranes. 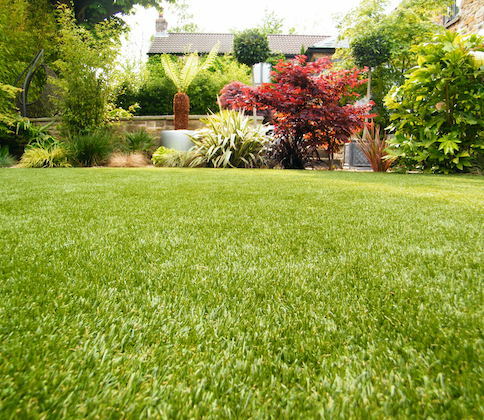 QwickBuild is also ideal over concrete, pavers or natural ground.